A shell has always a story to tell. 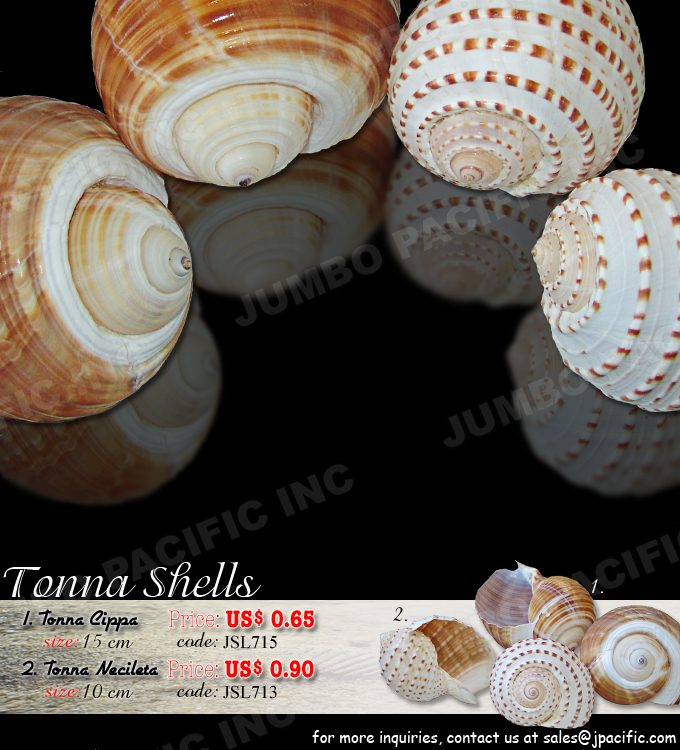 We have a wide variety shells to offers such as Melo Brodripii, Cittarium Pica, Conus Striatus, Haliotis Assimilis shells, Anodonta Woodiana, Lyropecten Subnodosus Brown shells, Melongena Patula, Tectus Pyramis, Terebra Maculata, Mother of Pearl, kabebe, blacklip shell, brownlip shell, capiz shell, hammer raw shell, blacktab and many more. Any member of the phylum Brachiopoda, a group of bottom-dwelling marine invertebrates. They are covered by two valves or shells one valve covers the dorsal or top side. Both polished and raw shells are available. For more information see the photos posted below. Note: All our shells or seashells are legally process and BFAR approved before shipping.